Calypso Reef Imagery is Cairns’ Great Barrier Reef digital underwater photography and videography specialists. This dedicated team covers everything from underwater camera hire to private and commercial contracts, film and television, tourism event photography, underwater and SLR photography courses, portrait sessions and more. 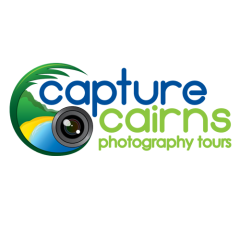 Based at the Reef Fleet Terminal, we also provide professional photography services to many Cairns reef day tour boats. The Calypso team is out on the Great Barrier Reef each and every day of the year, capturing the critters, the beauty and the visitors who are drawn to this nature’s paradise. Founded in 1992, the Calypso Reef Imagery team log over 15,000 hours under the water, behind the lens, every year, providing professional underwater photography and videography services to private and commercial customers.